Hell's Kitchen Season 13 Where Are They Now? 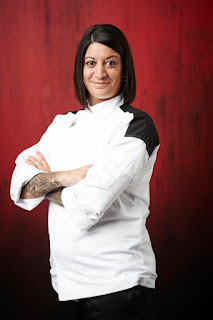 Hell's Kitchen Season 13 aired September 10 to December 17, 2014 on Fox Network, there were 18 contestants and the prize for the winner was a head chef position at Gordon Ramsay's Pub & Grill at Caesars Atlantic City. Continue below to read what the Hell's Kitchen season 13 contestants did next after appearing on Hell's Kitchen. Aaron Lhamon was a Lead Line Cook from Maynard, Massachusetts. He was eliminated in Hell's Kitchen episode 10 after nominating himself for elimination due to his poor performance in the service. After the show, he is a travelling chef and has had a number of kitchen positions around the US to expand his skill set. 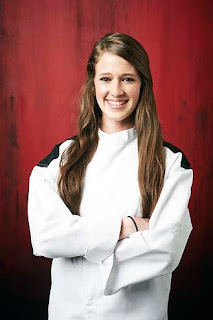 Ashley Sherman was a Lead Line Cook from Bethlehem, Pennsylvania. She was eliminated in Hell's Kitchen episode 7 after her poor performances in the last two services. After the show, she was cook at ArtsQuest Center, returning to her employer ARAMARK Refreshment Services. She took part in Reality Rally, a charity event in both 2016 and 17. Brian Santos was a Sous Chef from Boston, Massachusetts. He was eliminated in Hell's Kitchen episode 13 due to his worsening performances and his lack of fight. After the show, he was Executive Chef of Luxury Suites at the TD Garden and is currently Executive Chef at Boston University. He also appeared on Food Networks Holiday Bakeoff Championship and Beat Bobby Flay. Bryant Gallaher was a Lead Line Cook from Virginia Beach, Virginia. He was runner up in Hell's Kitchen season 13. 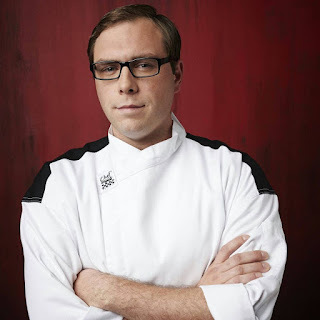 After the show, he competed on Cutthroat Kitchen, was a Sous Chef at ARAMARK Higher Education and currently owns his own private chef business. Denine Giordano was a Culinary Student from Philadelphia, Pennsylvania. She was eliminated in Hell's Kitchen episode 3 due to her poor performances and attitude. After the show, she was Sous Chef at Iovine Brothers Produce. 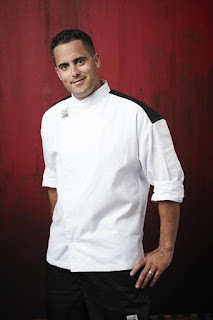 Fernando Cruz wwas an Executive Chef from La Quinta, California. He was eliminated in Hell's Kitchen episode 11 due to him not being ready to lead a kitchen but praised his cooking ability. 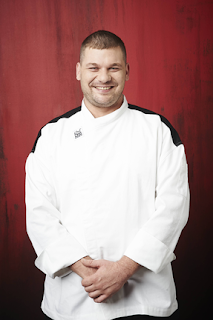 After the show, he was Executive Chef at Capella Hotel Group before becoming Executive Chef at 1 Hotels South Beach. Frank Bilotti was an Executive Chef from Staten Island, New York. He was eliminated in Hell's Kitchen episode 9 due to his poor performance during the service. After the show, he offered chef services with consultant and private chef services and is currently a chef at Mr Ciao NYC. 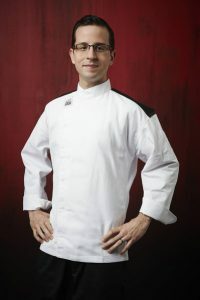 He appeared on Food Network Chopped in April 2018. 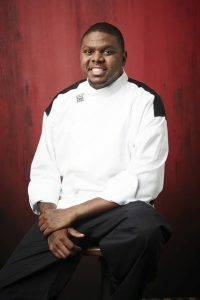 James JR Robinson was a Private Chef from Washington, D.C. He was eliminated in Hell's Kitchen episode 4 due to his lack of growth during the process and he wasn't ready to be Head Chef. After the show, he a Chef instructor for Raising Expectations Inc and hosts an online cooking show. Kitchen Cray Cafe is due to open in May 2018. 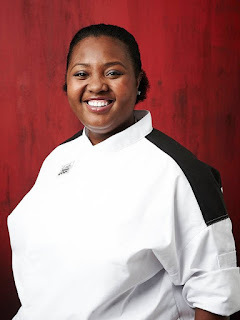 Janai Simpson was a Chef de Partie from LaGrange, Georgia. She was eliminated in Hell's Kitchen episode 2 due to her failure to cook risotto and lack of communication. After the show, she became Sous Chef at Epic Restaurant. 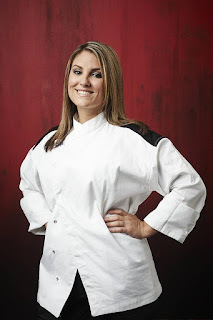 Jennifer Salhoff was a Private Chef from Philadelphia, Pennsylvania. She was eliminated in Hell's Kitchen episode 15 but was praised by Gordon for her determination. 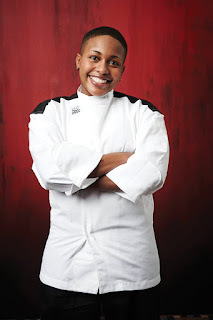 After the show, she was Executive Chef at Cuba Libre Restaurant & Rum Bar before moving to The Farmers' Cabinet as a Sous Chef. 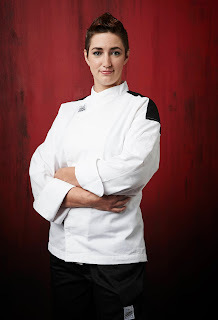 She is currently Executive Chef at Amuse and also runs macaron company Le Mac by Jen. 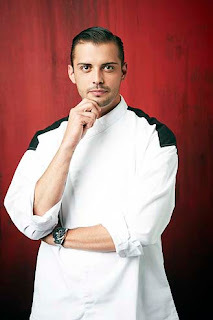 John Paul JP DeDominicis was a Kitchen Manager from Boston, Massachusetts. He was eliminated in Hell's Kitchen episode 1 due to his poor performance and failing to take responsibility. After the show, he became Sous Chef at University Club Boston. 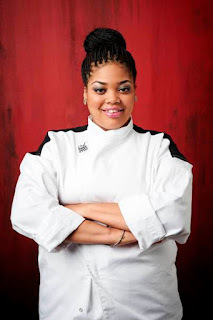 Kalen Morgenstern was a Sous Chef from River Oaks, Texas. She was eliminated in Hell's Kitchen episode 5 due to her poor performances and refusal to admit her mistakes. 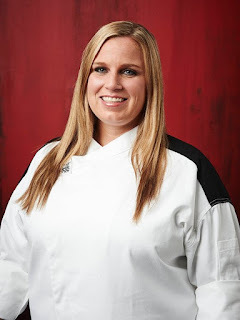 After the show, she returned to Tillman’s Roadhouse as Chef de Cuisine and after this closed she opened her own restaurant FW Market + Table, which closed after less than a year. She is currently working on a food prep company for protein rich health foods. Katie McKeown was a Line Cook from Dallas, Texas. She was eliminated in Hell's Kitchen episode 6 due to her lack of confidence but he praised her for her ability in the kitchen. After the show, she worked at The Turnhouse Grille and currently works at QC Social Lounge as Head Cocktail Maker. Roe DiLeo was a Head Chef from Dallas, Texas. 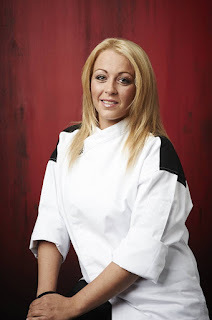 She was eliminated in Hell's Kitchen episode 14 due to her deteriorating performances in recent shows but she was praised by Gordon for her hard work. After the show, she became Chef and General Manager at Henry's Majestic before becoming Head Chef at Cafe at North Haven Gardens. She is currently at Pints and Quarts in Dallas. Sade Dancy was a Lead Line Cook from Philadelphia, Pennsylvania. She was eliminated in Hell's Kitchen episode 15 but Gordon told her she would receive a call from his team about working for his company. After the show, she is a personal chef at Chez Sadé Catering. 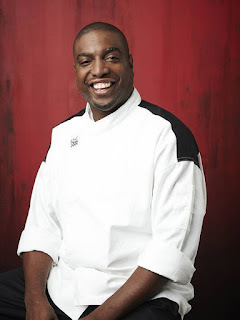 Sterling Wright was a Grill Chef from Nashville, Tennessee. He was eliminated in Hell's Kitchen episode 12 due to not being ready for the Head Chef job but praised as a phenomenal competitor. After the show, he joined The Slider House as a Chef before moving to The Palisades Restaurant. He took part in a HK Takeover in May 2018. 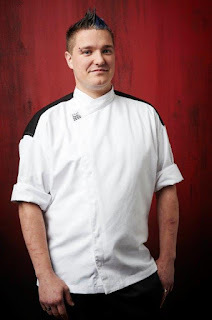 Steve Rosenthal was an Executive Chef from Detroit, Michigan. He left in Hell's Kitchen episode 9 due to a knee injury, was praised by Gordon and told he could return for a future season. After the show, he returned to Old Ebbitt Grill as Executive Chef. He was entertaining for the first couple of episodes, then he just got annoying. Sterling was such a heart warming guy. You can tell he has a lot of passion. Sterling was the best beside La Tasha.I can't believe Bryant made it that far I HATE his cocky mouth and thinks he's better than anyone there.